Five short years ago, there was not a Greco-Roman wrestling country in the world that was better than United States. 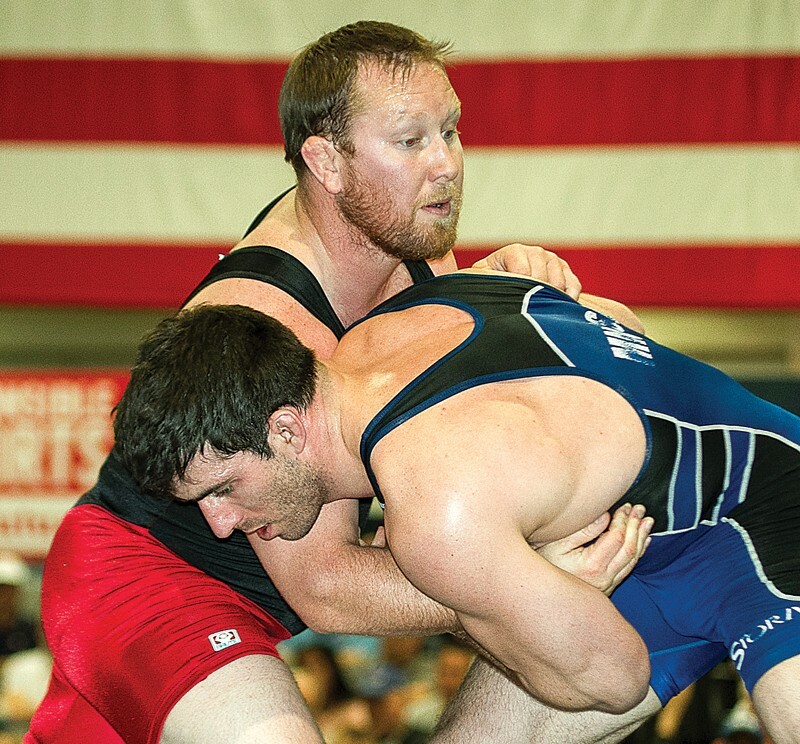 The 2013 Greco-Roman final at 211.5 pounds at the ASICS U.S. Open features a pair of former college wrestlers: John Wechter (right) of Michigan State, who defeated former Cal Poly wrestler Ryan Halsey. For it was at the 2007 World Championships in Baku, Azerbaijan, that the Americans topped the international field in Greco-Roman wrestling for the first time in history. Fast forward to the 2011 Worlds and the U.S. group claimed 19th place in Istanbul, Turkey; one year before the Americans finished in 18th place at the 2012 Olympics in London. No one within the U.S. Greco-Roman group was more upset than national team coach Steve Fraser, who believes he knows one element that was missing between those time periods. And speaking of numbers, the Greco teams produced eight medal winners between 2005 and 2008 on both the World and Olympic stage … and just one medal in those annual international events since 2009. During the earlier quad, four of those medals belonged to non-collegians: Justin Lester (World bronze medals in 2006 and ’07), Dremiel Byers (World bronze in 2007) and Adam Wheeler (Olympic bronze in 2008). • Brad Vering (Nebraska), silver at 2007 Worlds. Since 2008, the only World/Olympic medal by the American Greco-Roman team was a silver medal by Byers in 2009. And the only Greco wrestler with college credentials during the latest quad was Ruiz, who failed to place when on the 2010 and ’11 teams. No collegian was on the 2012 Olympic Team. To read the remainder of this story and the most recent issue of WIN Magazine, you can subscribe by (clicking here) or calling the toll free to start a 12-issue annual subscription for $29.95 for 12 print editions of WIN, or $14.95 for the digital version.